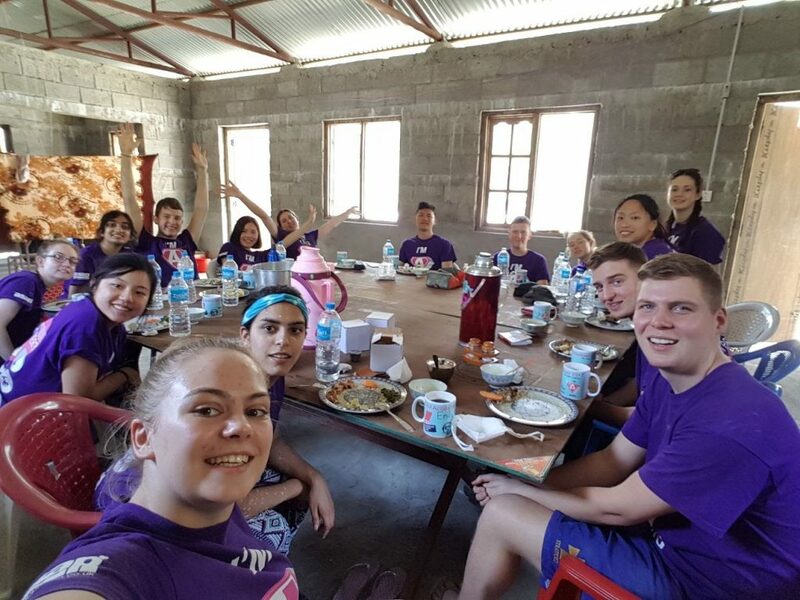 Earlier this year, 15 students from Loughborough University spent 10 days working in and around the girls hostel we constructed in Timbu. In helping to prepare the hostel to receive its very first boarders, they put the finishing touches on our long-term project to make it easier for girls to remain in education. The students also managed to see plenty of Nepal, including a whitewater rafting trip and trekking. As part of the project, the group also raised funds to provide scholarships to students from poor communities who have the potential, but not the means, to progress to higher education in the form of A-level equivalent exams. 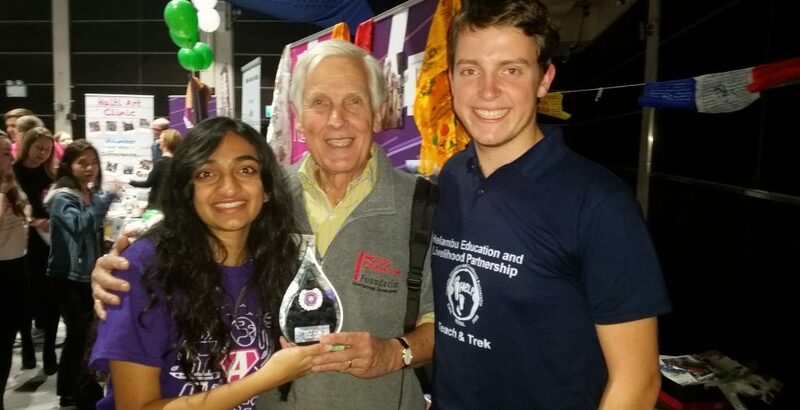 The project was such a success that the group were recently awarded ‘Project of the Year 2017′ by the Volunteering Section of the Loughborough Students Union. A new group aims to return in 2018 to work in new schools in two remote villages, Bhotang and Gufa. Here you can read in the students’ own words the impact the project had on both them and the local community in which they lived and worked. 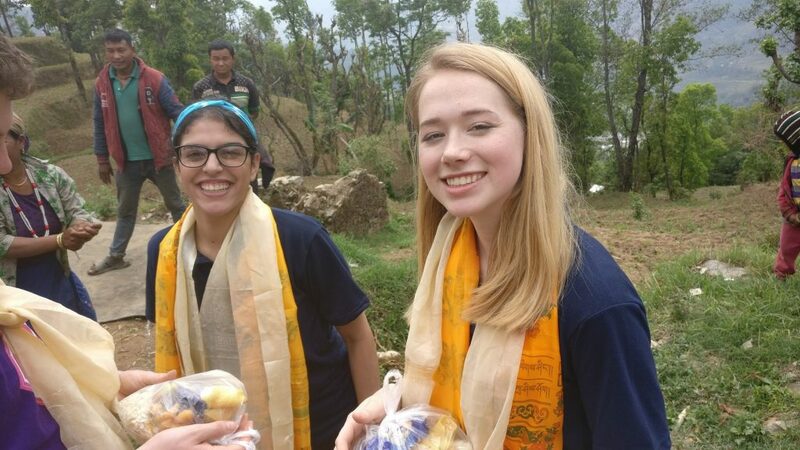 “During the project in Nepal, not only were we able to work together as a team to provide a safe space for girls to learn, we were able to provide funding to ensure that the local people had a safe refuge in case of another earthquake. Instead of making a 3-hour journey to and from the school each day, meaning that some students would have to miss classes, over 60 girls are now able to stay just two minutes away from their school for free. The hostel will allow these girls to study until they are 16 instead of giving up school due to the long walk. Our impact was shown by the large turnout of people from the local community and school. Indeed, many of the local people were inspired by our work and have committed to up keeping the hostel. The education of these students has been widely enhanced, many of the girls now have the ambition to go on to become doctors, engineers and pilots meaning that they can go on to inspire future generations. Our work as a team throughout the project has allowed a positive mindset to be maintained as well as helping friendships to develop”. “Earlier this year, we worked a project which oversaw the completion of a girls hostel in Helambu. The building had previously been torn down by the 2015 Nepalese earthquakes. As a team, we worked together to complete the hostel, including assembling the bunk beds and making the rooms habitable. It was definitely a tough routine – up every day at 7 am and finishing the day around 5 pm we worked to get the hostel finished on time. It was all worth it though as we left Nepal knowing that girls can go to school with a peace of mind that they can rest in the hostel rather than walk home for 3 hours in darkness. We met many locals when we were doing our work and they were all very kind to us. Furthermore, we had an incredible opportunity to discover the amazing Nepalese culture and the beautiful country. We met many people and learnt so much about their language“. 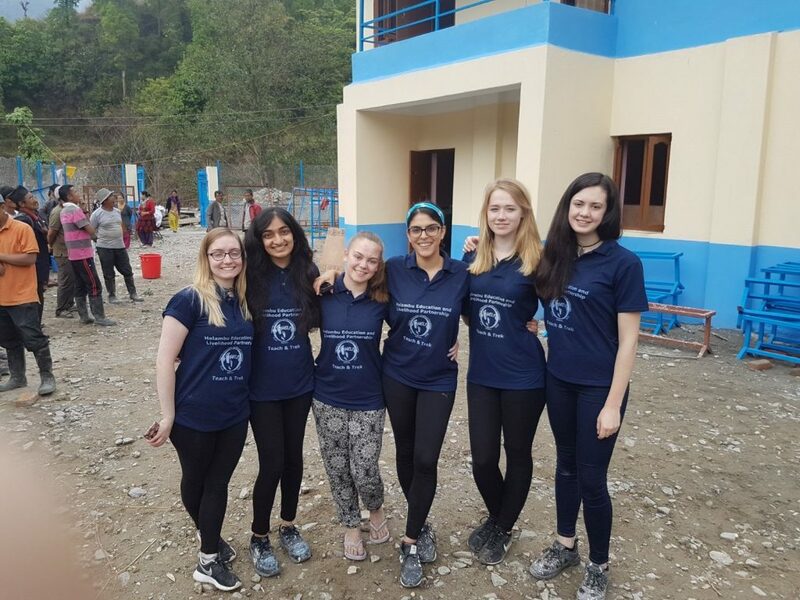 “We spent 10 days, sleeping, eating and volunteering in the same girls hostel, transforming it from a dull dusty place to a colourful safe place for young girls in Nepal to live and get the education they deserve. The thing I loved about this trip and all the volunteers/voluntary work, was that you actually saw the difference you were making, where the money was going and the difference you were making to the children’s lives. I saw how the Loughborough Students Union was positively impacting a community who were devastated by an earthquake just two years before and truly left with nothing – despite being across the world and not at our doorstep. This project helped teenage girls with their education by ensuring that they have a welcoming environment in which to study, and a safe space to board, rather than walking hours in dangerous terrain to get to and from school“.